Robots as Caregivers: Is it Unethical? As I had mentioned in an earlier post, I am exploring the idea of robots as caregivers for older adults and will be writing a literature review as part of my graduate thesis project. I became intrigued by the idea of assistive robots as I pondered the caregiver shortage coinciding with the growing numbers of older adults. Although I don’t think of myself as pro-robot, I don’t believe that the use of robots is completely unethical. There are arguments suggesting that the use of assistive robots will further marginalize older adults who are disregarded by society. Some declare that robots cannot understand human emotions, and therefore cannot provide the sensitive touch of human caregivers. Others argue that reliance on robots would increase social isolation. These concerns are very important, but the reality is that there is a shortage of caregivers. Robot technology may be one option that can help fill in some of (though not all) the gaps. Robots may even provide respite and assistance to formal and informal caregivers because let’s face it –- caregiving is hard work! 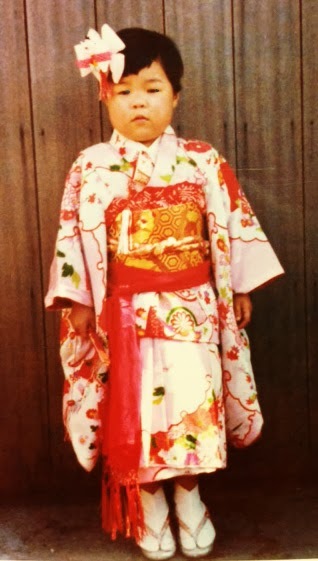 At age 3: Trying to be a lady. Undoubtedly, social isolation is common among older adults, particularly those with cognitive and physical challenges. I’ve even witnessed it among some older clients I work with. However, social isolation is not a new phenomena, and it has existed prior to technological advancements. Alternatively, it may be possible that robots can help enhance social interactions and connections with family and friends. Furthermore, if we are truly concerned about social isolation, all of us can make efforts to support older persons. It’s easy to criticize the use of robots, but are we all willing to take steps (big and small) to reduce or eliminate the need for such devices? Are we willing to pay more to ensure fair compensation for caregivers? Many loose ends exist at this point, and I’ve only begun my research. Personally, some of my issues regarding robots include cost and availability. As I’ve been combing through the literature, presently it seems that care robots are expensive and unavailable to the masses. But for now, I will conclude with one final thought -- perhaps asking older adults about their views and wishes on this subject matter would be an ethical consideration. Thank you for reading my post, and please share your thoughts and comments!